Nicole was born in Nicaragua and has lived between her birth place and the Bay Area. She grew up in a multicultural household with music, art, film and dance as constant themes throughout her life. She graduated from UC Santa Cruz with a degree in Film and Digital Media in 2008. At Santa Cruz she discovered farming and got involved with agroecology and sustainable living practices. 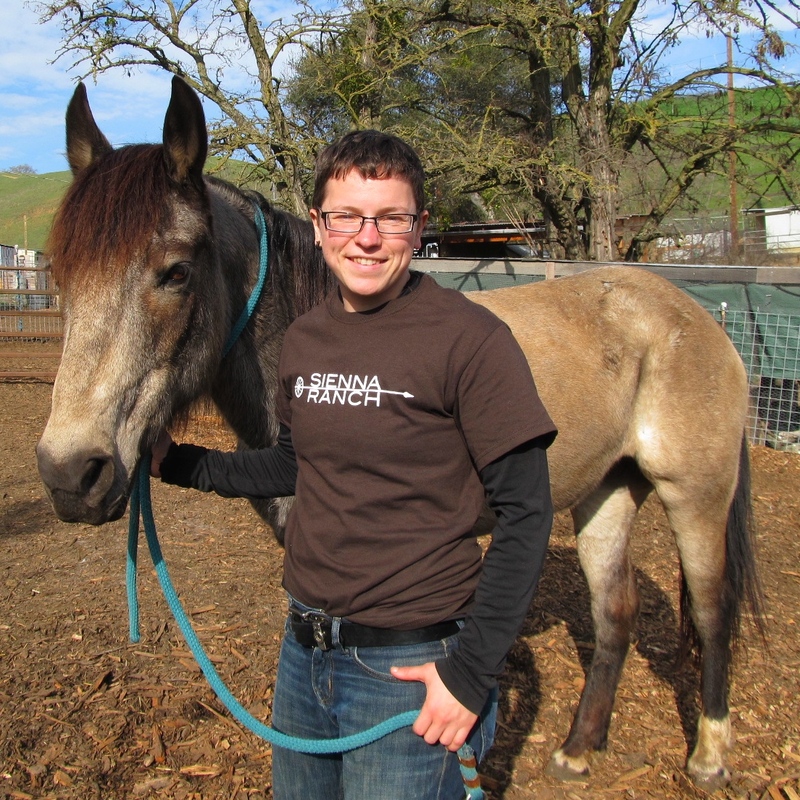 After college she volunteered in organic farms in Italy through the WWOOF program. Inspired by her experience she decided to continue her studies, which led her to Chiapas Mexico where she researched the impact of school gardens on children’s eating habits and perceptions. After obtaining her Master’s in Science degree for Natural Resources and Rural Development at the Colegio de La Frontera Sur, Nicole moved to Nicaragua where she worked at different educational gardens, helped run an Ecocultural farm and founded a Pedal Power group for rural women. Nicole move back to the Bay Area in 2018 and is excited to teach 5th and 6th grade science at Sienna Ranch. Ruby is passionate about educating in natural spaces. Because nature behaves holistically, her approach to education is holistic – educate the whole child using a diversity of resources. Ruby is originally from West Africa. Her father was a diplomat and afforded her the privilege of travel; she has lived in China, Canada, Burkina Faso, Ivory Coast, England, Nigeria and Japan. Her travel adventures have taught her to celebrate the diversity of human cultures while still recognizing the oneness of humanity. Ruby graduated with a biology degree from Lehman College in NY and worked for many years in scientific laboratories focused on genetic testing, medical testing and new product development. Dissatisfied with this particular way science was practiced she left the industrial scientific community to create a science based educational program for children that taught science in a predominantly experiential and holistic way called the Green Scientist. She turned to farming to gain a better understanding of natural systems. 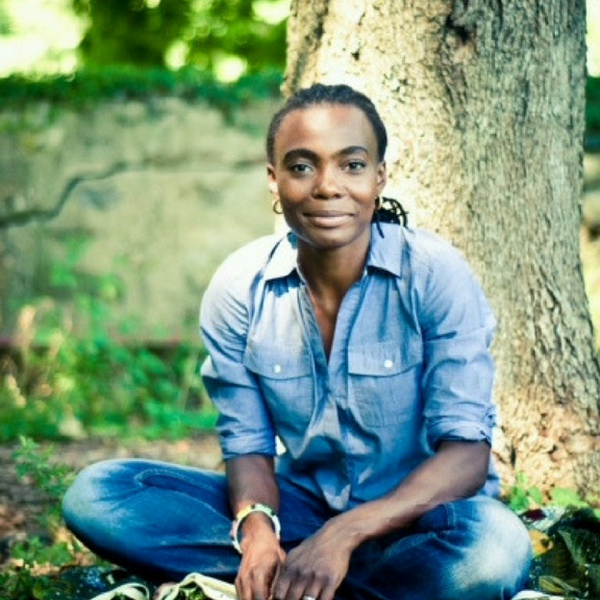 She received her farm training from Stone Barns Center for Food and Agriculture in 2011 and has since spent her time building and teaching in school, communal and community gardens in the NYC area. She frequently lectures on how to create experiential garden, food justice and culturally relevant content – for teaching in a garden, farm or natural space. Ruby is honored to join the Sienna Ranch team and is glad she can bring together the diversity of her talents into one space. 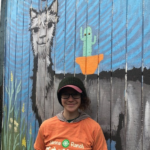 Emily Fuentes is a Bay Area native, avid gardener and tinkerer. 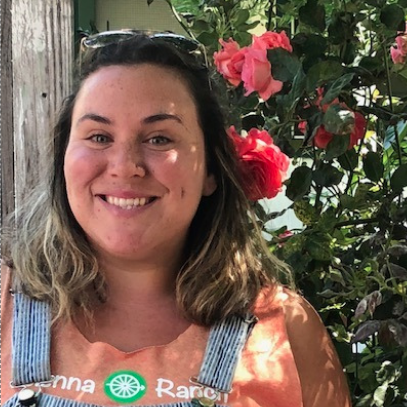 Her enthusiasm for outdoor education was nurtured while studying at UC Santa Cruz and afterwards spent over 5 years teaching in school gardens in Oakland, Ca. 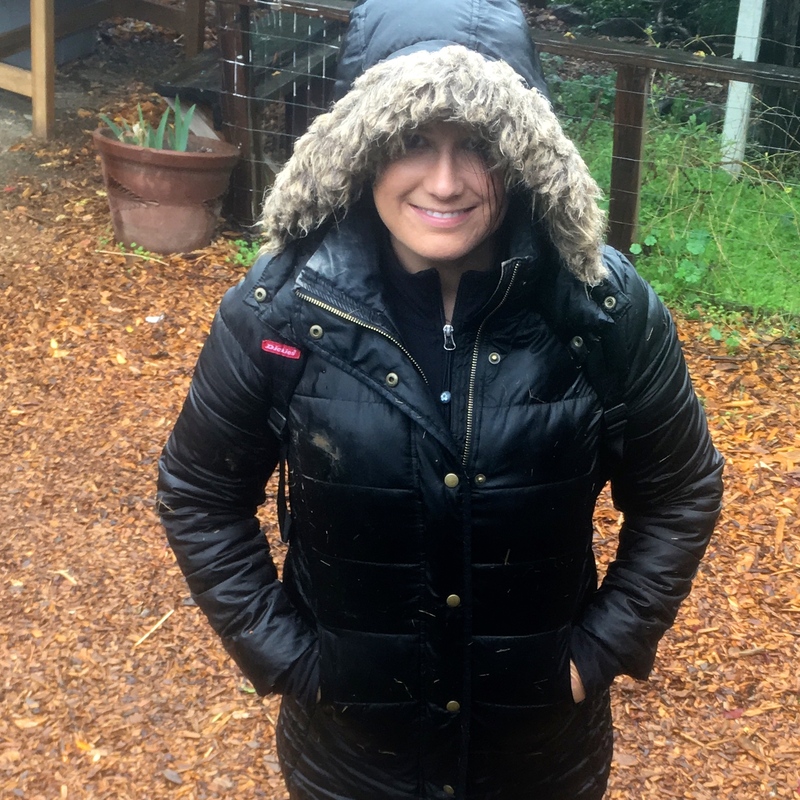 She got her curiosity for woodworking at a much younger age when she got her first taste of saw dust and building as a child during weekend visits to the Berkeley Marina Adventure Playground. Since then she studied furniture making at Laney College and has had a blast teaching woodworking in a variety of schools and summer camps in the Bay Area. She excited join the Sienna Ranch community and continue to learn and grow with everyone. Jessica is an east bay native who’s steadfast love for all things nature has led her on many adventures, the most recent landing her at Sienna Ranch. 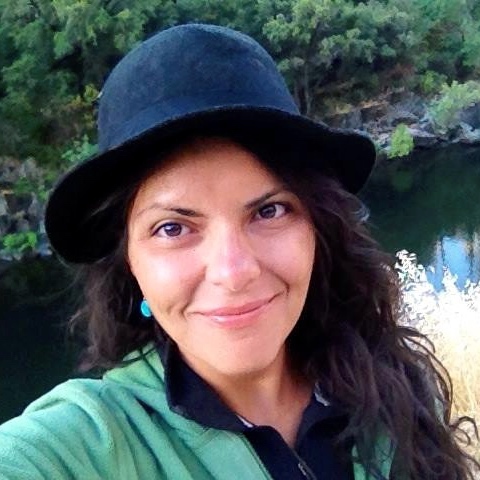 She has her Bachelors of Science in Ecology and Evolutionary biology from UC Santa Cruz. Birds are her greatest passion, spending two field seasons in Yosemite National Park working as a bird bander, collecting data from migratory passerines during the breeding season. This experience left her with a strong knowledge of local bird species and a love for leading bird hikes. Working as an Education Specialist at Lindsay Wildlife Experience she found her love for teaching and working with children. Lindsay gave her the avenue to fuse her two great joys; working with animals and sharing that passion with other people. Sienna Ranch is an exciting venture for her where she can implement her previous experiences. Anna grew up on an orchard in Oregon City, OR. As a child she loved writing songs, climbing trees, eating wild edible plants, and pretending to be a “tree doctor”- bringing trees plant medicine when they got nicked by the tractor. To this day all of those things still bring her joy! That’s why she’s so grateful to spend each day at Sienna Ranch. 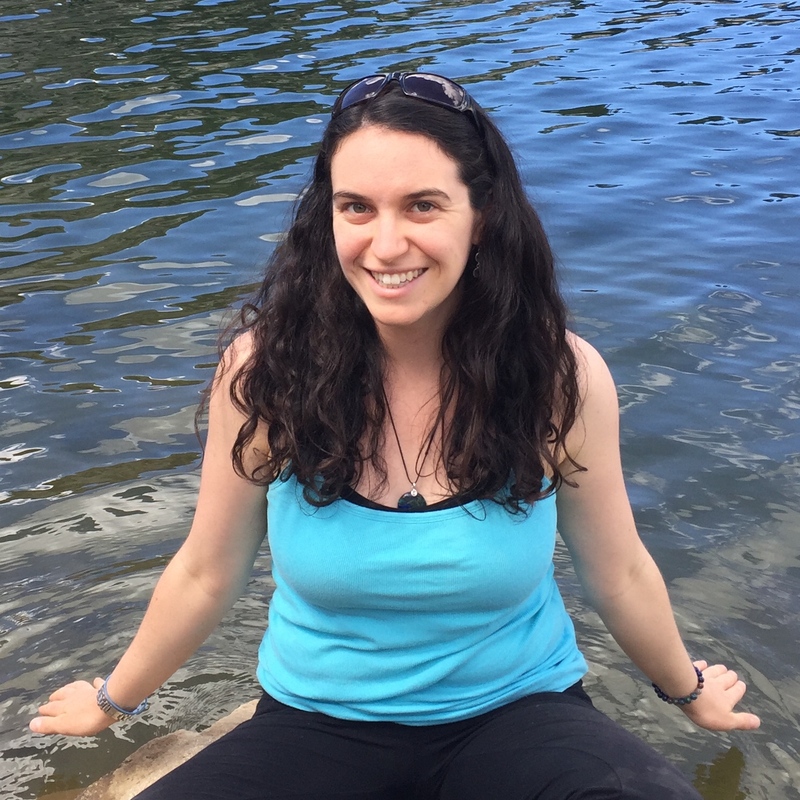 Anna went to Cornell University to study environmental science and education, always knowing she wanted to share her wonder and love of song and nature with children. Lauren combines her background in clinical psychology, philosophy, and yoga in her teaching at Sienna Ranch to create a mindful, yet lighthearted and playfully unique experience. With a foundation of over twenty years training and teaching dressage, eventing, and natural horsemanship, Lauren empowers students to problem solve from a place of mindfulness when on and around horses. She draws from a variety of experiences ranging from exercising racehorses to intercollegiate competition. 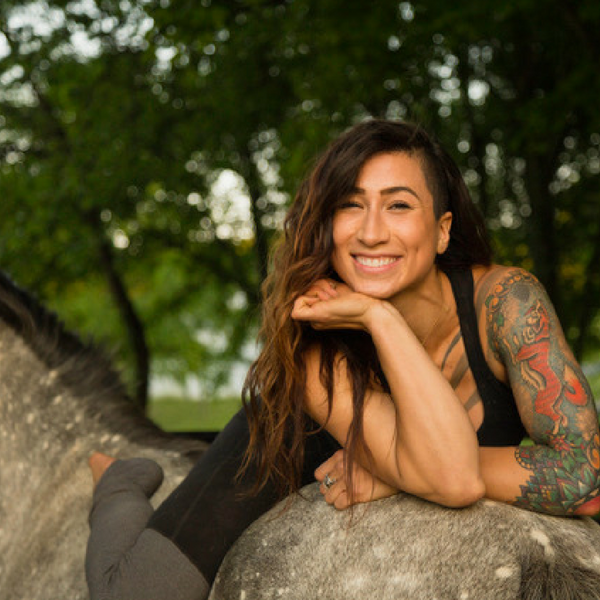 While the competitive equestrian lifestyle was exciting, she yearned to share the deep connection she found with horses and transitioned to equine therapy and equine body work after college. Lauren loves helping students whisper not only with horses, but with all the animals at Sienna Ranch! 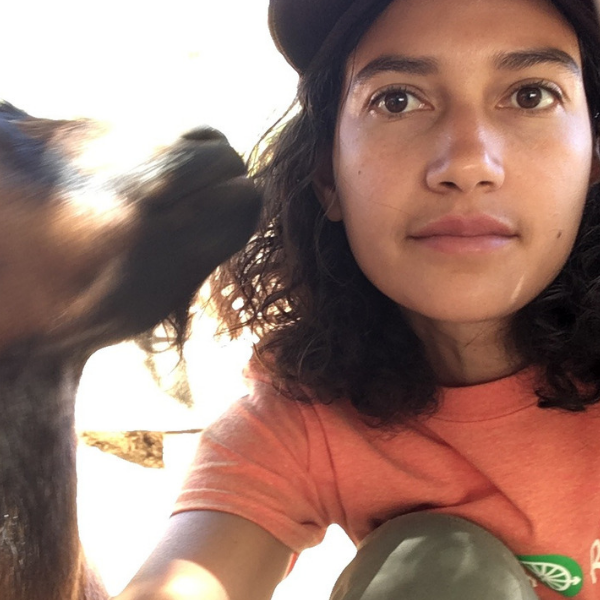 Whether observing the herd dynamics of goats or learning how to handle chicks, she encourages students to connect with animals instead of tame them. She values respect and consent when interacting with animals and believes that is the key not only for healthy relationships with animals, but fellow humans as well. Amity grew up roaming the hills of Lafayette with her older brother in search of lizards, snakes and any other wildlife that could be caught, inspected and released. She was often seen on the back of her horse, Freckles, with a gopher snake wrapped around her wrist. After discovering Sienna Ranch, Amity says, “Everything I know and love is all within this one place. To learn respect for animals and the world around them is something that many kids are missing out on today.” The ranch is offering all this for kids to discover. Megan grew up in Oakland, went to school in New England and Oregon, and lived for many years in western Colorado before returning to the Bay Area recently. She has ten years of classroom teaching experience in public, private, and charter elementary schools in both urban and rural settings. 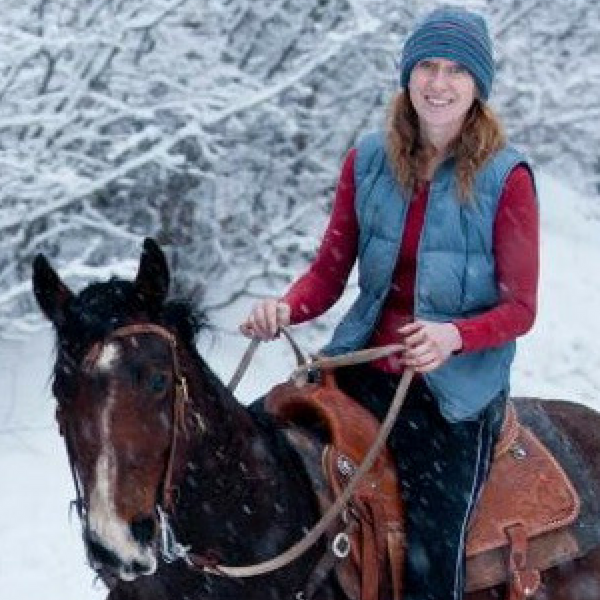 Her animal-related experiences include teaching riding lessons, handling sled dogs for an Iditarod team in Alaska, driving draft horses, and competing in polocrosse. She has been a rider since she was a toddler and currently owns two horses that she uses for competition and trail riding. Her other interests include reading, writing, and exploring trails with her husky. Tina Treviño is an Austin Texas native who grew up riding horses and showing competitively in the Hunter/Jumper circuit. Her love of horses and helping others led her to Wilson College in Chambersburg Pennsylvania where she earned two Bachelors of Science degrees, one in Equine Facilitated Therapeutics and the other in Psychology. From there she continued working with students in the Rocky Mountains of Colorado, helping them succeed and excel through social emotional learning and outdoor education. 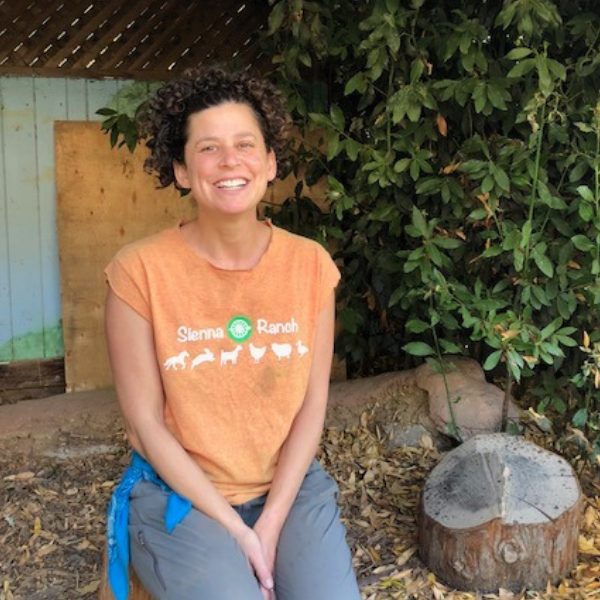 This career led her to Mendocino County in Northern California where she was the Program Facilitator of Blackbird Farm. 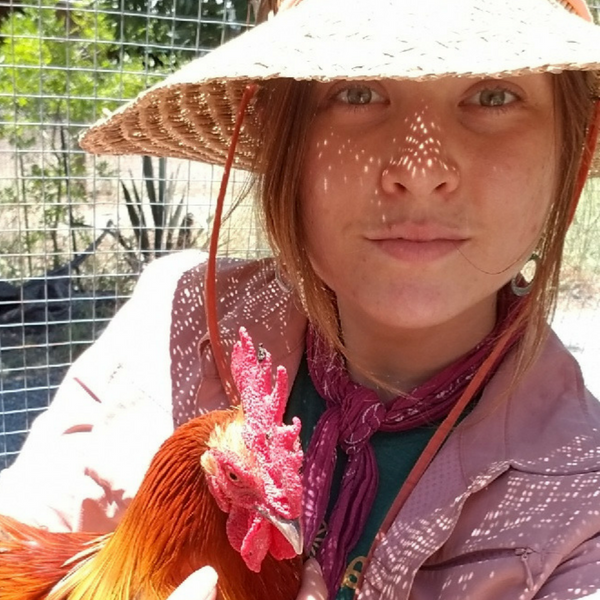 In charge of running student programming, she managed the ins and outs of helping high school students through an eleven day school trip where they worked hands on with farm animals and in the garden learning about nature, homesteading, and sustainability. 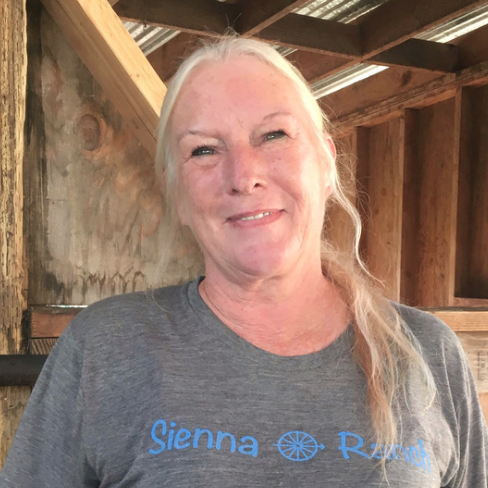 Her love of students and her desire to work directly with horses again brought her to Sienna Ranch where she hopes to continue to empower youth to step outside of their comfort zone and embrace the beauty of the great outdoors. She has an intense love of breakfast tacos, puns, watercolors, and well worn work boots. If she could be any vegetable she would be a pumpkin because spilling our guts is good for us now and then, and making funny faces helps light up the world. Lindsay grew up in Medfield, Massachusetts. What was supposed to be a temporary move to the Bay Area turned into a 25 plus year love of California. She graduated from Hayward State University with a degree in Social Services and Psychology. She enjoys hiking, reading, sewing, riding horses, walking her dogs and hanging out with her two daughters. Lindsay worked as a ABA Behavioral therapist and behavioral consultant for over 15 years and her love of working with children with autism, as well as other special needs, has been a long lasting passion that continues to grow. Lindsay started working at Sienna Ranch in the summer of 2016 as part of the Special Events staff and now has a group during the week. Her love of nature, animals, children and Art has given her the opportunity to continue to nurture these skills with the wonderful staff and amazing kids at Sienna Ranch. Howdy! Hunter is a transplant from Houston, Texas, where they grew up on a cattle ranch. Hunter has been working with horses for most of their life, with 25 years Western riding experience and 5 years learning natural horsemanship training. When they’re not doing that, Hunter can be found tramping through the woods, backpacking, and climbing trees. They’re a decent archer, and they enjoy dabbling in many outdoor skills, from basketry, fire starting, and whittling, to leather working and edible plant identification. Self-sufficiency is fun! Hunter is a graduate from Rice University and is an accredited public school teacher. Their most favoritest thing to do in the whole world is share the wonder of nature with city kids who don’t ordinarily get to experience it. 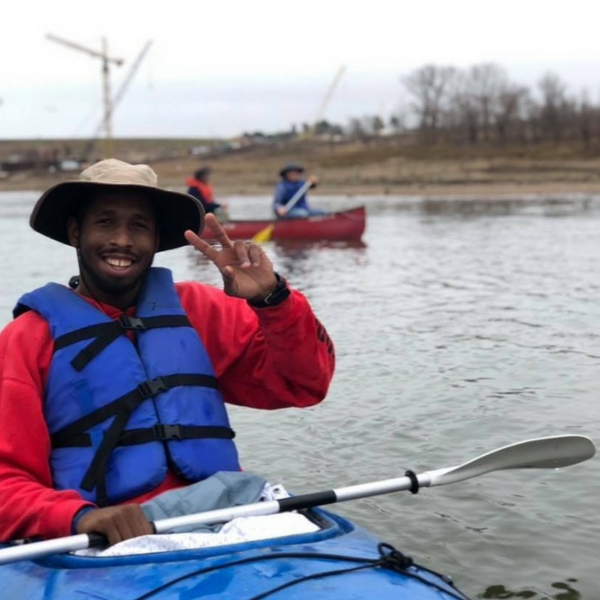 Born and raised in the east Bay Area, Michael enjoyed hiking, camping and gardening throughout his childhood. 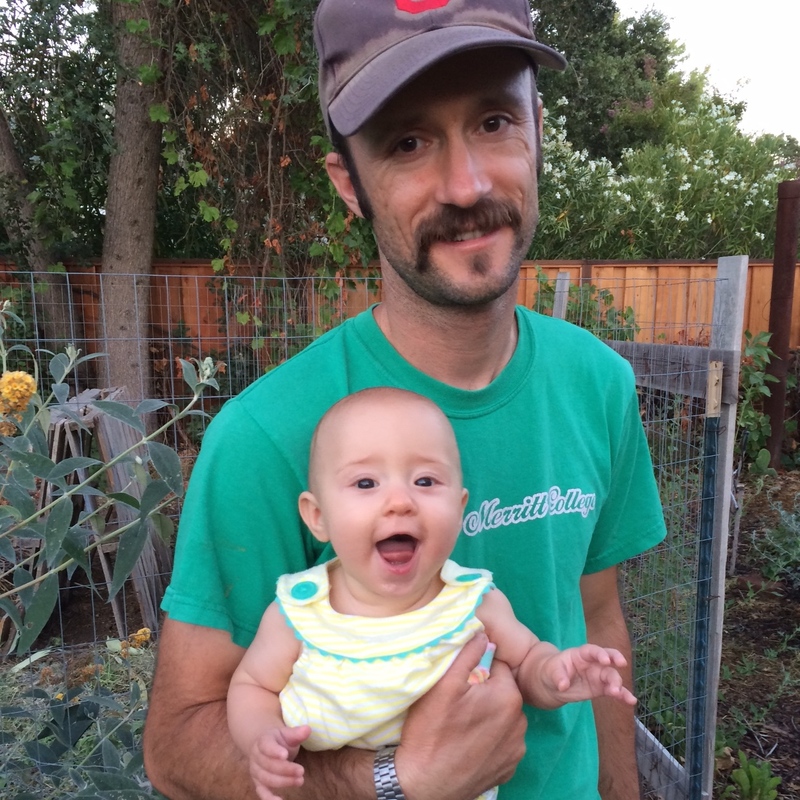 He studied horticulture in Santa Cruz and the Sierra Foothills before attending Prescott College in Arizona, where he received a degree in agroecology and permaculture design. He has 14 years of experience in horticulture and has also worked as a botanist for the National Forest Service–in Sonora and the Lake Tahoe Basin. A member of the Sienna Ranch family since May 2012, he is thrilled to put to use his expertise in sustainable land stewardship. He enjoys using his plumbing and carpentry skills to maintain and improve amenities at the ranch. He is also excited for his daughters, Lillian and Alice, to attend Sienna Ranch once they are old enough. In his spare time, he enjoys plant propagation, especially edibles, succulents, and native plants. His garden in Lafayette is a yearly stop on the East Bay “Bringing Back the Natives” garden tour, where his passion for drought-tolerant, sustainable gardening is on display. A self-taught musician, he loves to sing and play the guitar, mandolin, banjo, and piano. 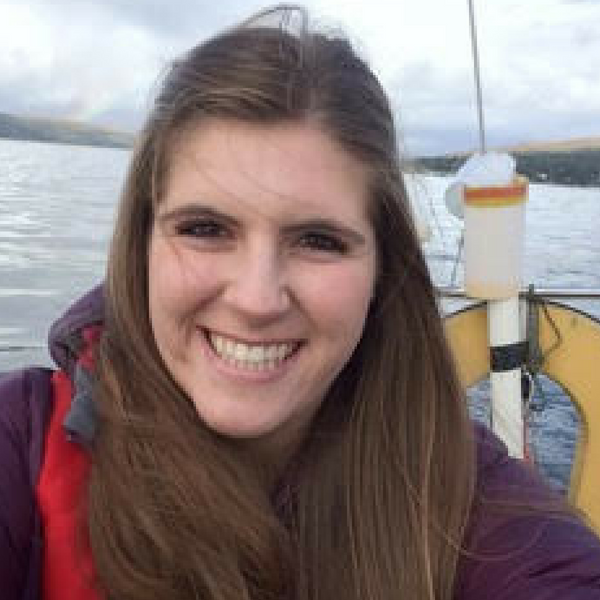 Julie grew up in the East Bay and just returned from living abroad in Glasgow, Scotland for two years. While she was there she worked alongside youth from many different communities and backgrounds in Glasgow taking them on outdoor adventures and teaching cooking skills, life lessons, and mentoring youth on how to be the best versions of themselves. Prior to moving to Scotland Julie studied Business at the University of Oregon and is a proud Duck fan. In her spare time she loves hiking, camping, and being outdoors with her friends and family. Julie is passionate about building communities and connecting with everyone she meets. Julie is excited to be working at Sienna Ranch and exploring more of the East Bay hiking trails! Chris grew up in Australia where he spent most of his childhood weekends in the shed, building go-carts, toys and tree forts, doing science experiments, or backpacking in the mountains around his hometown of Canberra. As he grew up, the urge to build things, experiment and explore the world never left him. While studying Biology and Jazz at UC Santa Cruz, Chris began teaching basic bicycle mechanics to developmentally disabled adults, sharing the feeling of empowerment which comes from the building process. He also studied education theory and philosophy which led him to complete a Graduate Diploma in Science Communication at the Australian National University. 2008 he co-founded the Cycling Scientists, a 100% bicycle-mobile educational organization which ran hands-on science and technology workshops for remote Indigenous schools in the Australian Outback. 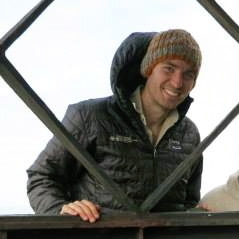 In 2009 Chris lived and worked in Jakarta, developing and delivering a wide range of programs with the Indonesian National Science and Technology Centre. Chris began working at Sienna Ranch in 2010. Nick has lived in the East Bay Area for most of his life, and spent much of his childhood and teenage years right here in Lafayette. While he attended Acalanes High School, he often looked over at Deer Hill Road and wondered, “What is that place with the white gate and weird telephone poles?” Little did he realize, he’d one day be working there. Nick was introduced to Sienna Ranch in 2013 by his brother Mike after returning to the Bay Area from attending CSU Chico, where he studied geology. He began helping out with projects here and there, and by Fall of 2014, was a full time employee. He loves the unique challenges the ranch provides daily as well as the endless opportunities to learn new skills. 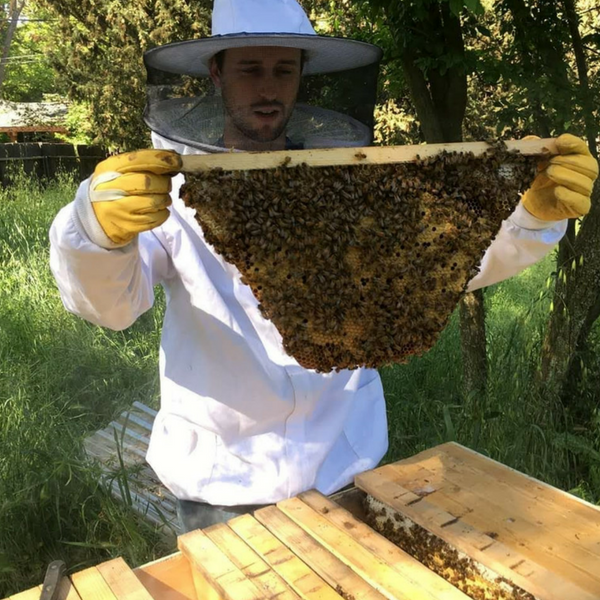 In his time here he has picked up everything from carpentry and plumbing to welding and even beekeeping. He enjoys figuring out how things work and is always looking for something new to learn. In his free time, Nick loves camping and playing music with his family, enjoys hobbies such as leatherworking and antique collecting, and is an avid player of board games and tabletop role-playing games. Originally from Nashville, TN, Alison first began working with children in high school as an art teacher for an after school program. She has a B.A. 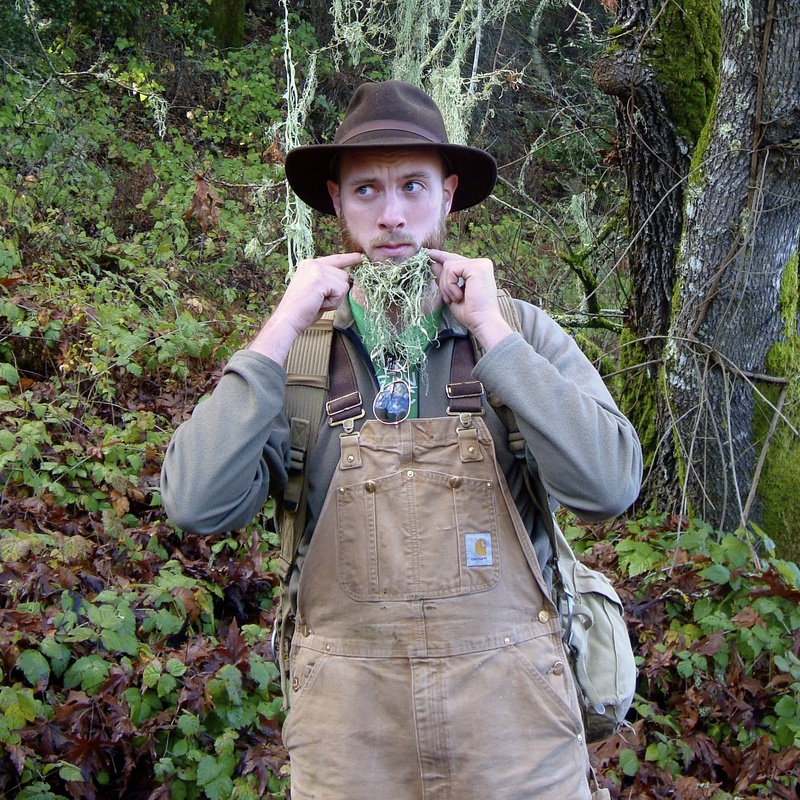 from the Evergreen State College in Olympia, WA and a certification in Permaculture and Naturalist Mentoring from the Regenerative Design Institute in Bolinas, CA. 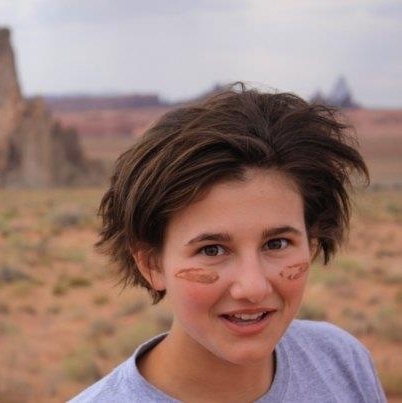 She has also studied tracking and wilderness skills with Wilderness Awareness School in Duvall, WA and Boulder Outdoor Survival School in Boulder, UT. Alison has taught naturalist skills to kids for over a decade and has been with Sienna Ranch since its inception. In her free time she enjoys hiking, rock climbing and yoga and believes that there is always more to discover and learn about the natural world.